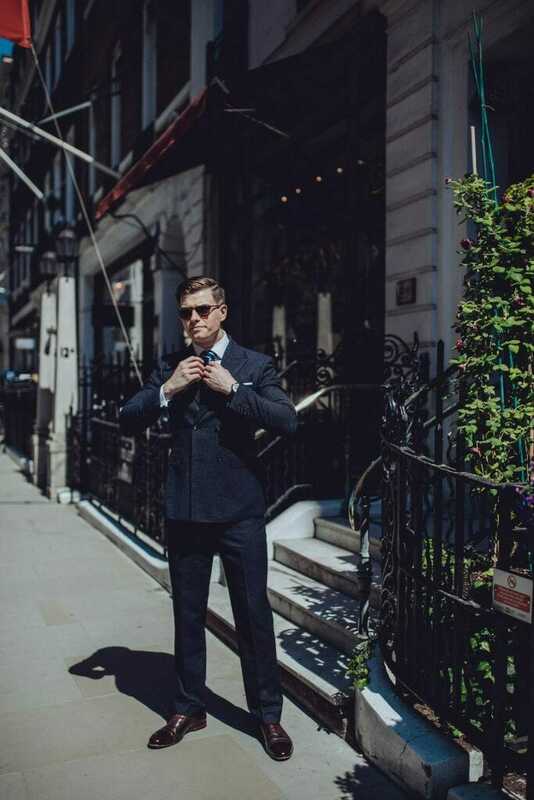 One of my main concerns with this suit was that it might end up feeling a tad heavy, especially in the summer heat of London when I did this shoot. 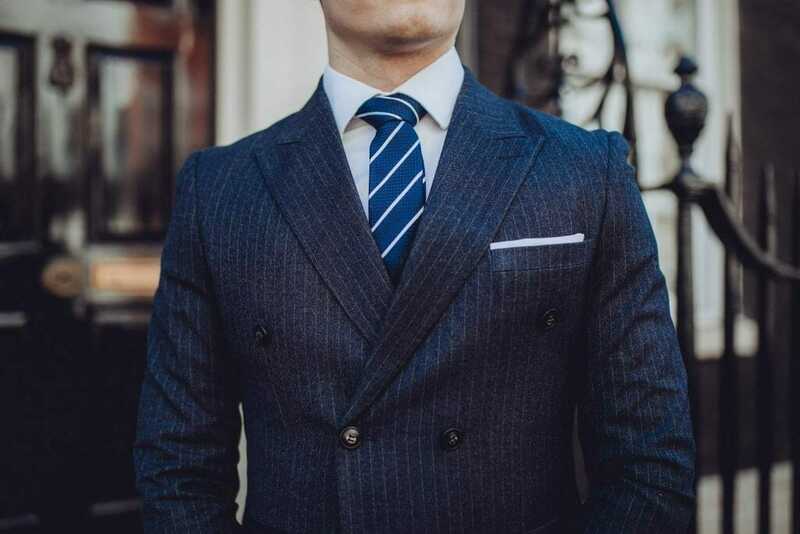 However, I was pleasantly surprised by the suit as it is both soft and light, using high quality, breathable fabrics that allow for ease of movement. 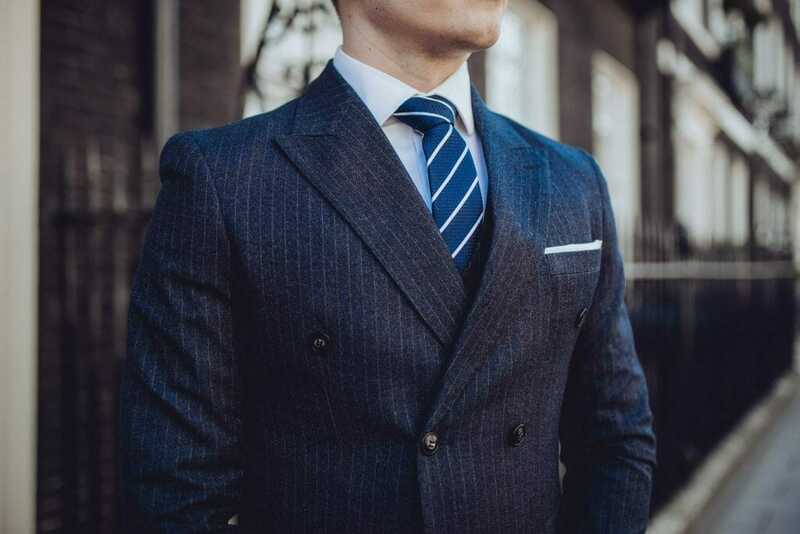 The tailored fit around the waist slims the abdomen whilst the wider, winged lapel broadens the chest and shoulders giving an overall clean “v-shape” to the upper body. 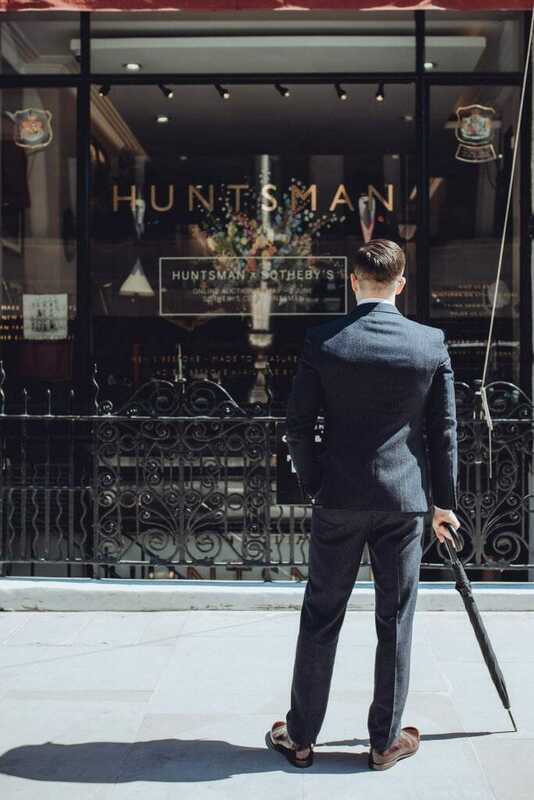 The slim, no-break cut of the trousers helps lengthen the legs slightly and helps lengthen the overall outfit without looking disproportionate and avoiding stacking at the ankles. 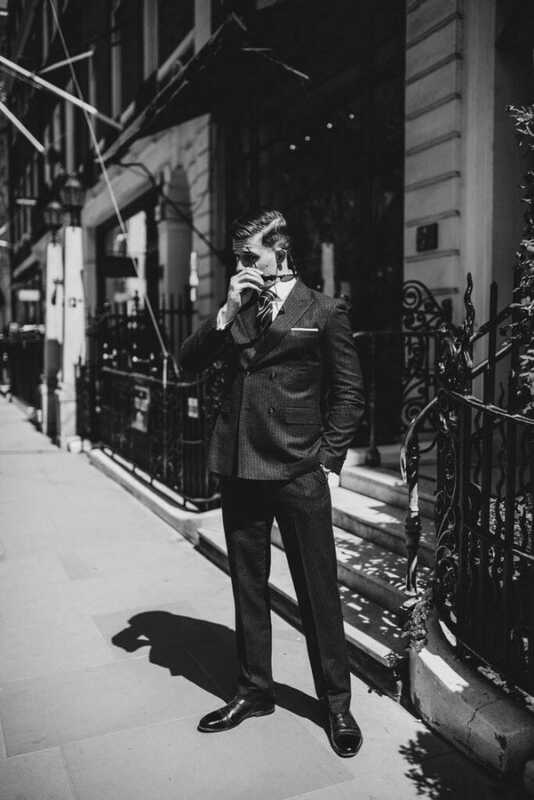 The overall look hearkens back to the golden era of Savile Row, the concept of high quality, subtle designs giving the look of a gentleman, translated to modern 21st Century London. Though it’s fairly obvious the look is heavily inspired by Eggsy’s suit in the original movie, I also wanted to pull from style used in the early 60s by the likes of Michael Caine and Steve McQueen. 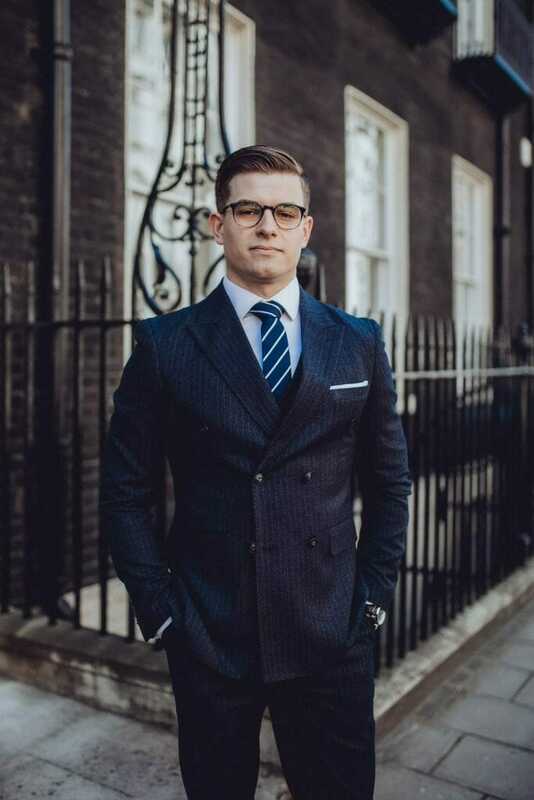 The idea was to create look that incorporated those classic elements of suit styling whilst building on the contemporary nature of the Kingsman look. 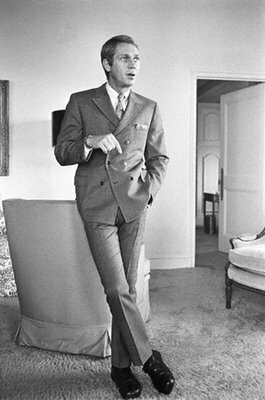 I also wanted the fit to be fairly modern so requested a slimmer fit around the waist for the jacket and trousers to create clean-cut silhouette. 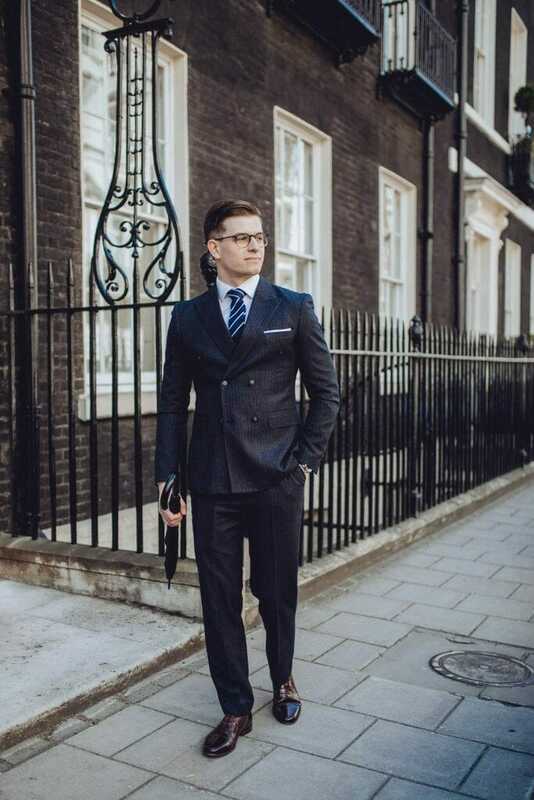 At the same time, I decided against using black shoes and accessories, instead going for dark tan to build some older suit styles into the look in order to ensure the outfit had subtle nods to those 1960s suited outfits, whilst building on them with a modern fit and feel. I added to this by using slightly rounder glasses/sunglasses than the Kingsman movie utilized, adding a dash of Italian flair to the whole look. 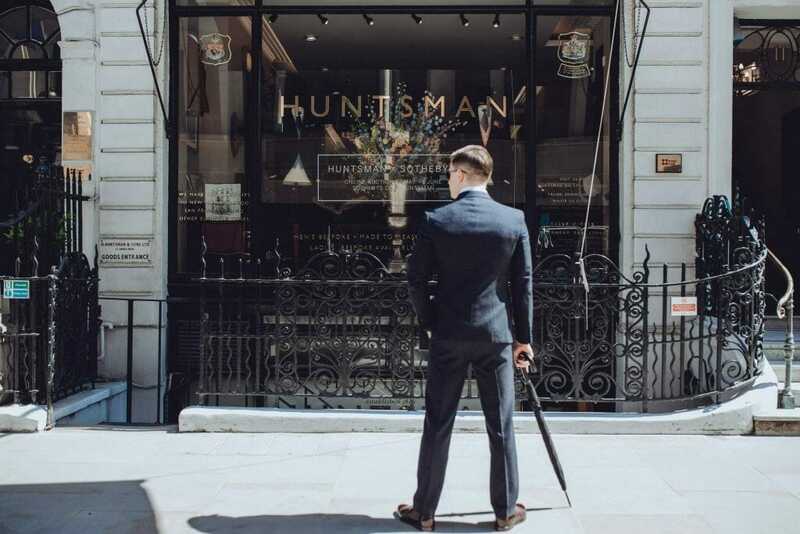 So, there you have it, the Kingsman Suit. Overall this is one of my favourite outfits I’ve put together on here and definitely my favourite suit, it treads the line between traditional and modern incorporate some of the most iconic trends from both. 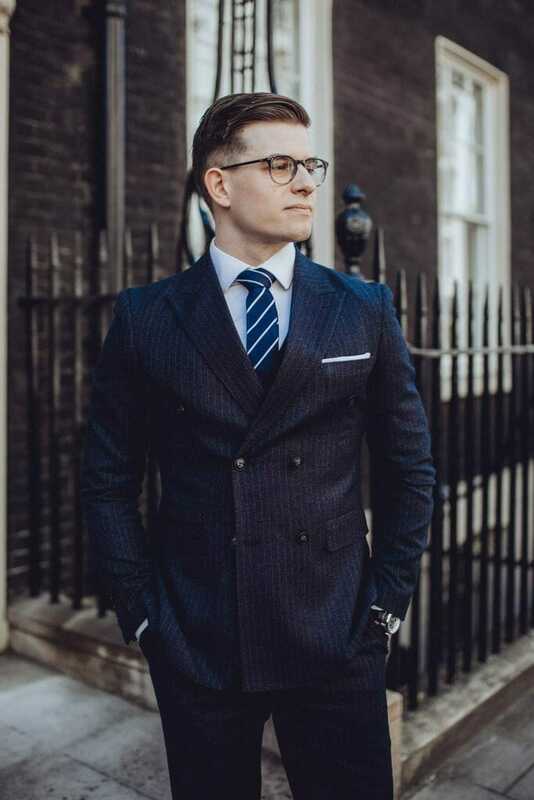 It accentuates the chest and arms whilst actively slimming the waist and creates a look that is not only timeless but, in my opinion, a pretty great homage to the Kingsman style but with my own twist. I’d like to thank Scotch & Rich for their generous suit donation, which inspired me to put together this outfit and post, go check out their site and their suits if you get the chance! You can get £25 off any purchase over £120 through this link or by using code “TMS25”. I’d also like to thank Kaye Fordtography (credited above) who put together a fantastic shoot with great energy and expert advice on constructing photos as well as lighting/framing. Go check out her work on her site, give her a follow and give her feedback, she’s a rising talent in the photography industry and it was a genuine pleasure to work with her. Thank you for checking out the post and make sure to let me know what you think of my outfit in the comments section. 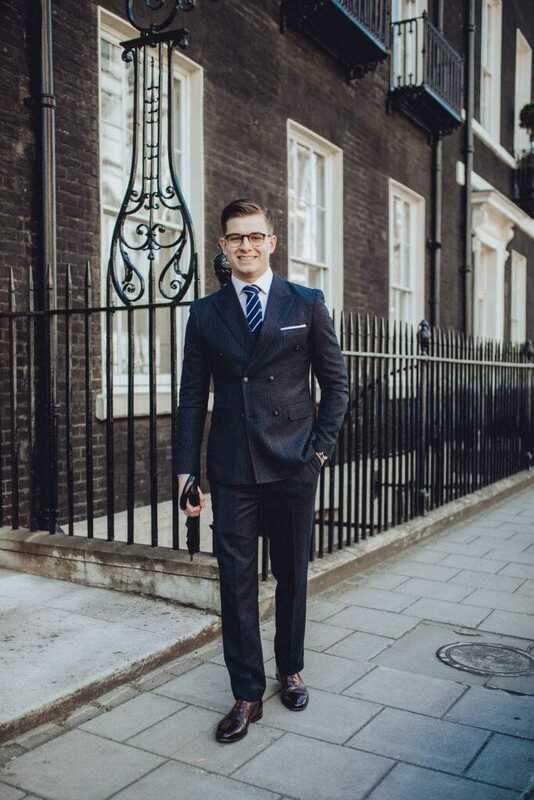 Check out some of my other outfits in the Gentleman’s Outfits sections of the site to get some inspiration and advice on styling some of my favourite outfits. You can also sign-up to be notified of new posts and follow The Male Stylist activity. Also, don’t forget to follow me on Twitter or Instagram for style inspiration, gentleman’s musings and general fun. P.S. I realise I haven’t been posting too often lately and I apologise for that. My work and career is going from strength-to-strength, which is great but means I’ve had a lot less time to post content on here. It was amazing to be back doing a style shoot and I’m hoping to do more in the coming weeks and months but, in the meantime, I genuinely appreciate all of your support, shares, likes, follows and feedback. You’ve kept me positive even when I’ve been struggling to get work done on the site and you continue to be a fantastic support when I’m struggling.having a tough time.